Every piece of timber that Treescape use is individual, which in turn means that every item we create will be unique. Therefore you can guarantee that whatever we make for you will be a one of a kind and personal to you. All of Treescape’s work is handmade to order and finished to the highest standard. We believe in attention to detail and that is what makes our hand crafted items stand out above the rest. If you have an idea that you would like to make a reality, please don’t hesitate to contact us. We have produced some speciality catering items for renowned chef Paul Ainsworth, No. 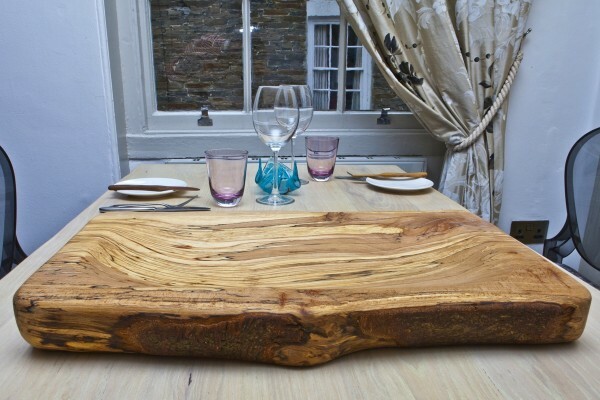 6 Restaurant, Padstow.